Shelby Raptor Shapes Up As The Ultimate Off-road Truck! 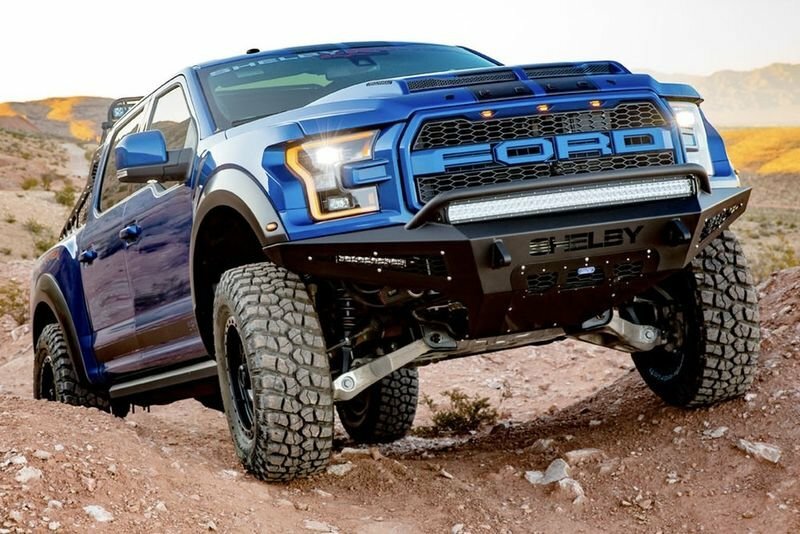 Home / Automotive / Cars / Shelby Raptor Shapes Up As The Ultimate Off-road Truck! The new Ford Shelby Raptor builds on the base Raptor with more power, better off-road capability and tougher looks, but there will only be 500 available. The Shelby Raptor jumps from 450 horsepower to a whopping 525 horsepower. Torque also gets a handy boost from 690 Nm to 827 Nm and hits 100km/h in just over five seconds, so expect the cars with the Shelby upgrade to dip into the four-second territory. There is more to the upgrade than just power boost; a new two-stage shock setup pairs with bigger wheels and tires for better off-road performance, while the exterior has been specced up with new stickers and a light bar. Inside, there are some extra red highlights on the seats to set the Shelby Raptor apart from regular Fords. It doesn't sound like all that much, but you'll certainly pay for the privilege. The Shelby Raptor costs a whopping US$117,460 compared to $68,165 for the regular Ford model. Just 500 will be available, making it a seriously rare beast. Buyers can go directly through Shelby American for their truck, or have their existing vehicle brought up to spec.